Photos of Valparaiso, Indiana, the county seat of Porter, County in Northwest Indiana and is home to a vibrant and historic downtown district, Valparaiso University, several popular microbreweries, plenty of restaurants and retail shopping, and convenient access to the Indiana Toll Road. 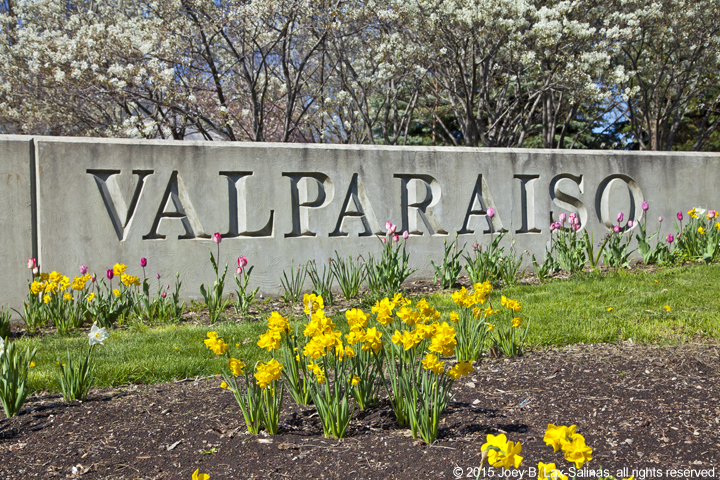 Located less than one hour from downtown Chicago, Valparaiso is more than a sleepy suburb; it has quickly grown into a full blown self-standing city of its own and an exciting place for foodies and art lovers. Popular photos of Valparaiso, Indiana including Valparaiso, University, the downtown Valparaiso district along Lincolnway, the Porter County Court House, Central Park Plaza, the Orville Redenbacher statue, Taltree Arboretum, and more.